Install this heavy-duty hitch on your vehicle so that you can securely tow your gooseneck trailer. Store the removable ball upside down in the hitch when you aren't towing to get complete bed access. Square ball base won't turn in hitch. Call 800-298-8924 to order B and W gooseneck part number BWGNRK1314 or order online at etrailer.com. Free expert support on all B and W products. Guaranteed Lowest Price and Fastest Shipping for B&W Turnoverball Underbed Gooseneck Trailer Hitch w/ Custom Installation Kit - 30,000 lbs. 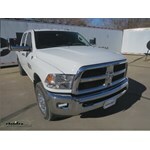 Gooseneck reviews from real customers. The durable steel hitch ball included with the Turnoverball system secures in the hitch with a sturdy, 5/8" thick steel pin that is incorporated into the end of the operating handle. 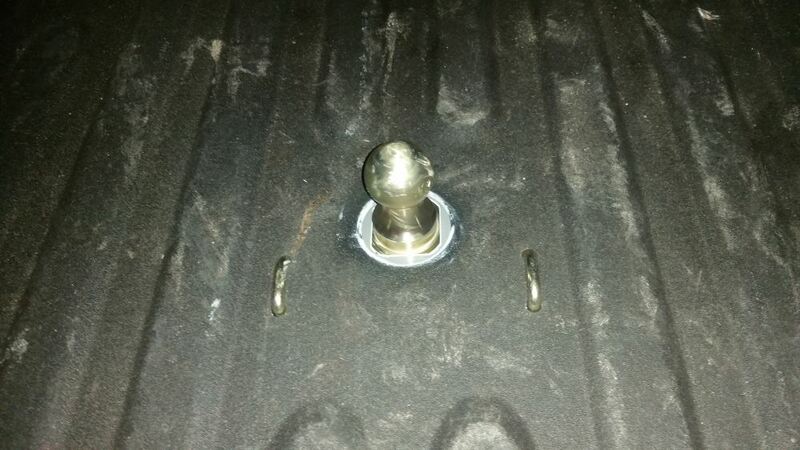 To lock the ball in place, drop it into the hitch hole in the bed of your truck. Then rotate the handle in your driver's-side wheel well counterclockwise until the latch engages. 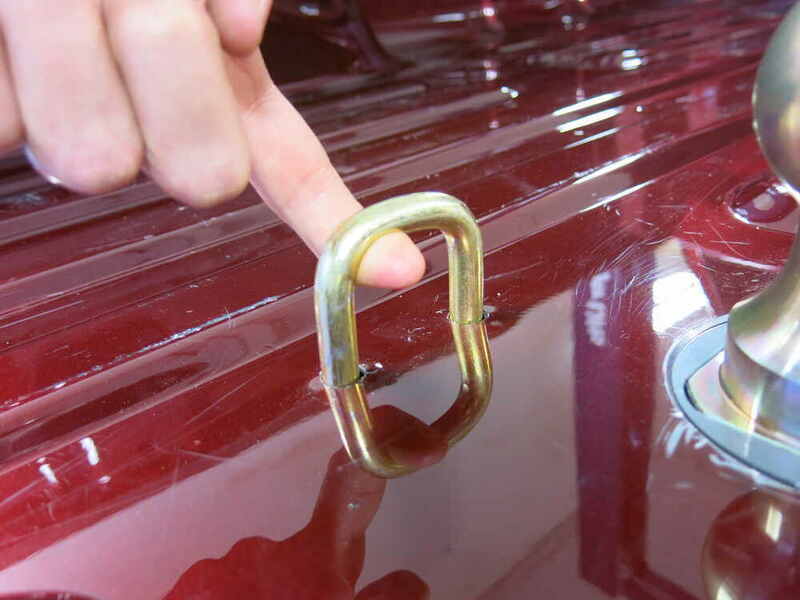 When the latch is engaged, the spring-loaded pin on the end of the handle will be inserted all the way through the base of the hitch ball, forming a strong, solid connection and ensuring absolute security when you're towing. When you're done towing, remove the hitch ball by simply pulling the handle out as far as it will go and then rotating it clockwise until it unlatches. Remove the ball, flip it upside down, and drop it back into the ball hole of the hitch. Then reengage the latch to secure the stowed ball in place. 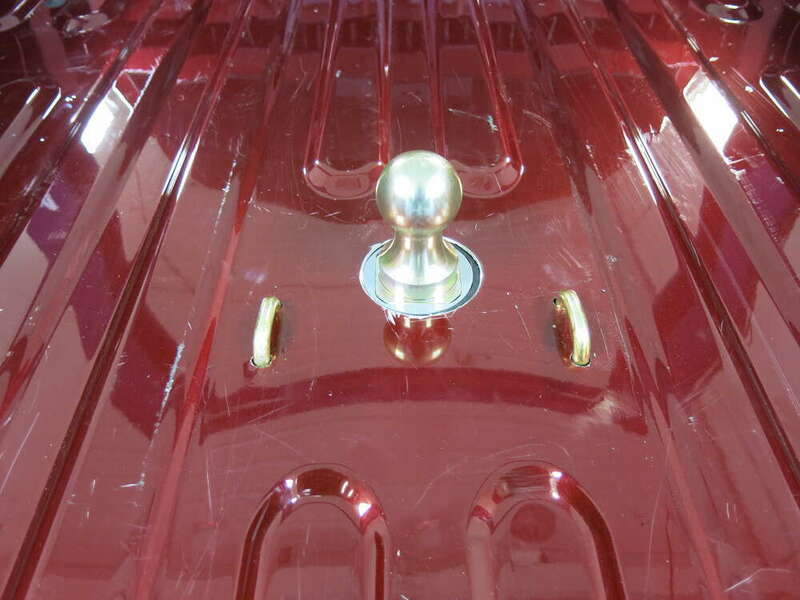 Unlike typical gooseneck balls - which have round bases - the Turnoverball hitch ball is designed with a square base. This makes latching the ball in the hitch easier because the base won't rotate inside of the hitch like a round base might, so lining the pin up is a snap. The base of the ball also fits tightly within the ball hole during storage. Because only the corners of the base contact the sides of the socket, any dirt or grime that gets into the hitch will fall through the socket, thus helping to prevent any buildup that could cause the ball to seize up in the hitch. This hitch is custom designed for your vehicle. 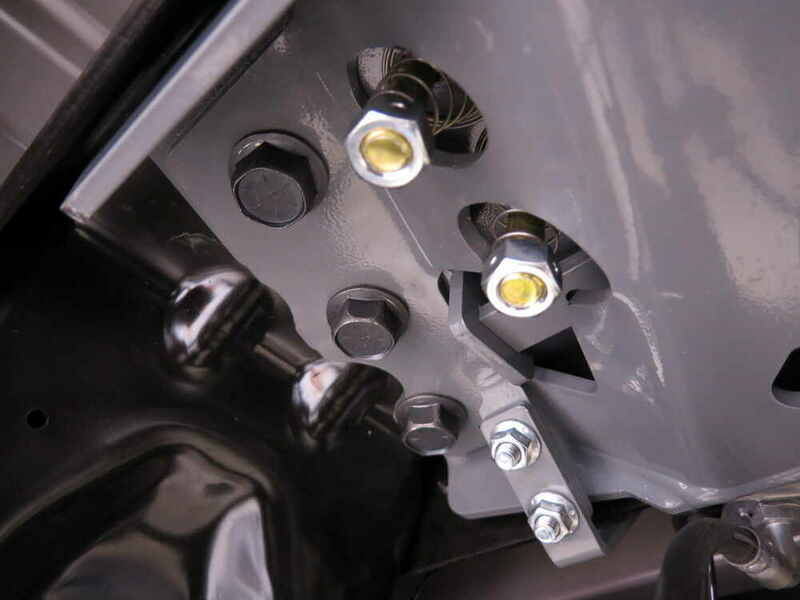 The included mounting brackets bolt to existing holes in your truck's frame. While some modification is required - you will need to cut a 4" diameter hole in your bed for the hitch ball and drill holes for the built-in safety chain loops - there is no need to weld onto or to drill into your frame. Once you have the hitch brackets and body installed, set up the operating handle. This handle is designed to be accessed from the rear driver's-side wheel well. 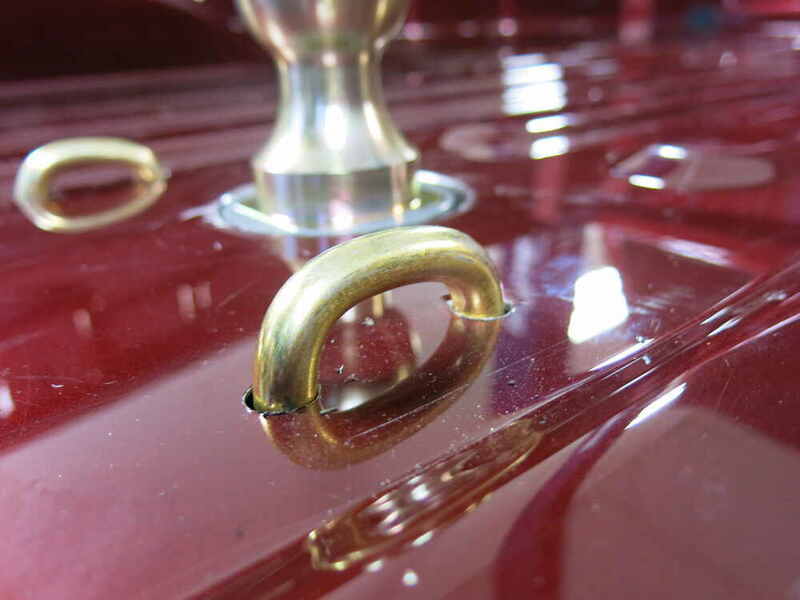 On the end of the handle is the heavy-duty steel pin that secures the hitch ball. B&W makes it easy to tow just about anything. With the many adapters and accessories available, the Turnoverball can be made to work with almost any gooseneck trailer. 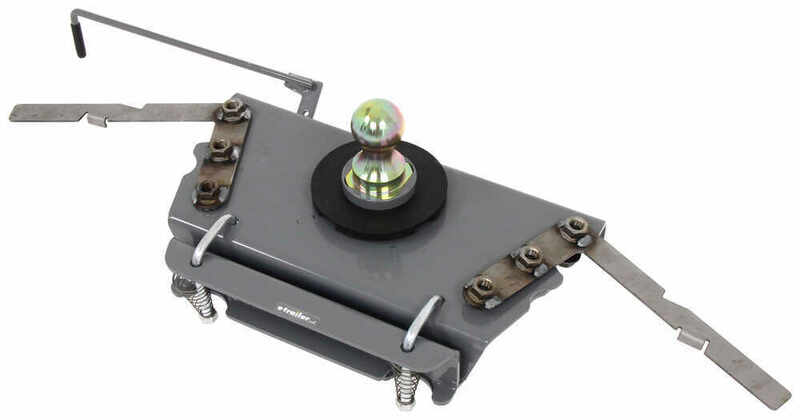 Hitch balls are available that have a built-in rise, an offset, and even a different connection type. 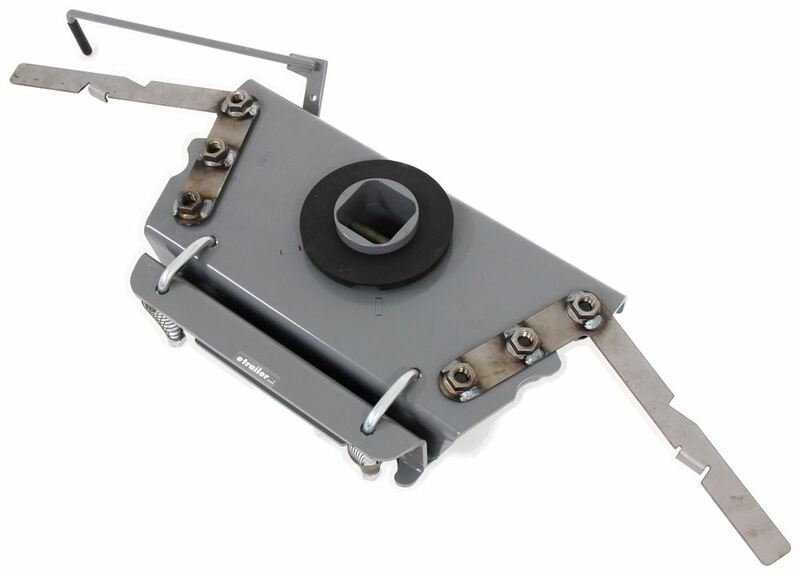 Add on the Companion fifth-wheel hitch - which attaches directly to the Turnoverball with no other parts required - and you can tow your fifth-wheel trailer. Even a truck bed utility rack is available so that you can easily haul ladders and lumber with the load placed on the hitch (and therefore your truck's frame) instead of your bed rails. Today we're going to review part number BWGNRK1314. 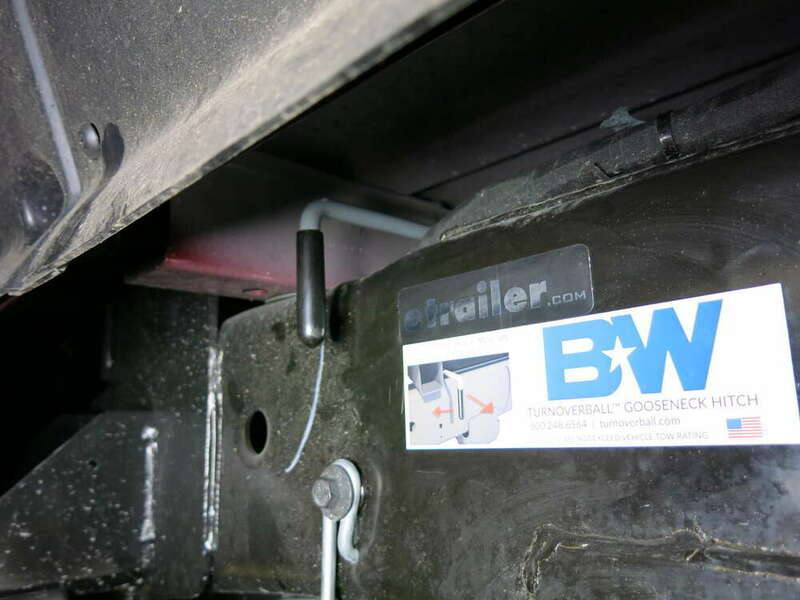 This is the B and W Turnover Ball Underbed Gooseneck Trailer Hitch with the custom installation kit. This is a custom design fit. 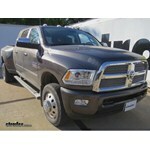 It is designed to fit the 2013 Dodge Ram 3500 series, either the short or the long bed. 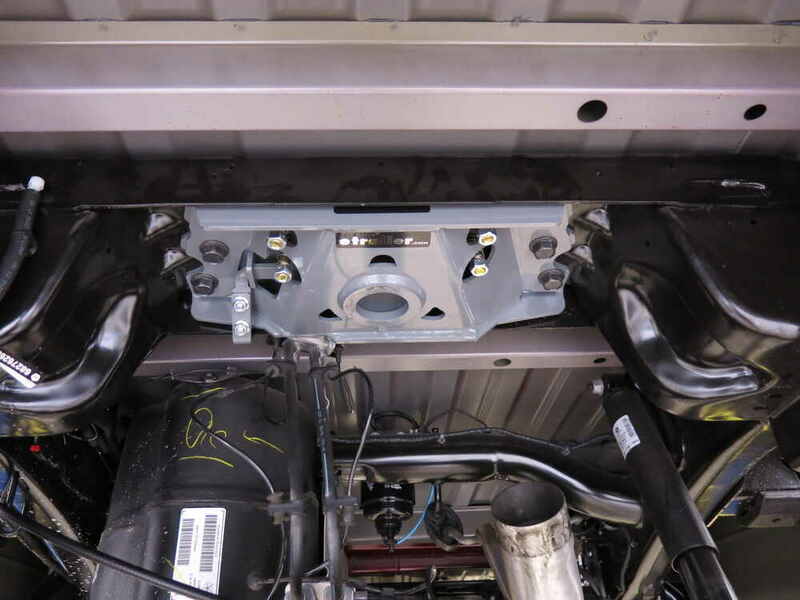 For demonstration purposes I do have the mounting brackets installed onto it, just to show you what it looks like installed underneath the bed of your truck. 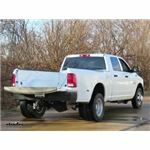 This heavy duty underbed hitch will let you tow your gooseneck trailer. When you do remove the ball, you will have complete truck bed access when you're not towing. To store the ball you can just flip it. It's a turnover ball, so you can just flip it upside down, drop it into place, and then it'll still give you the full access to the truck bed, and your ball will be stored there. A handle right here, at the very end of this handle right here, there is a 5/8-inch diameter spring-loaded steel locking pin on the end of the handle. What that would do is it would end up, when you go and move your handle and lock this ball into place, that pin will go all the way through and secure this into place. When you drop this into place and you're going to tow with it, if you would just push forward, this handle actually would be at your rear driver's side wheel well. You'd just access that, push forward, it'll release that pin and,as you can see, there's no removing of the ball. When you're done towing, and you just want to store the ball, if you pull out on this, pull it toward you, it would lock the handle open. Pull this out, turn the ball over, drop it into place for storage. Again, push forward, it would release the pin, and then it's locked into placefor storage. I do want to show you. This is a single piece machined ball socket that'll provide rugged durability. It's a square ball base. 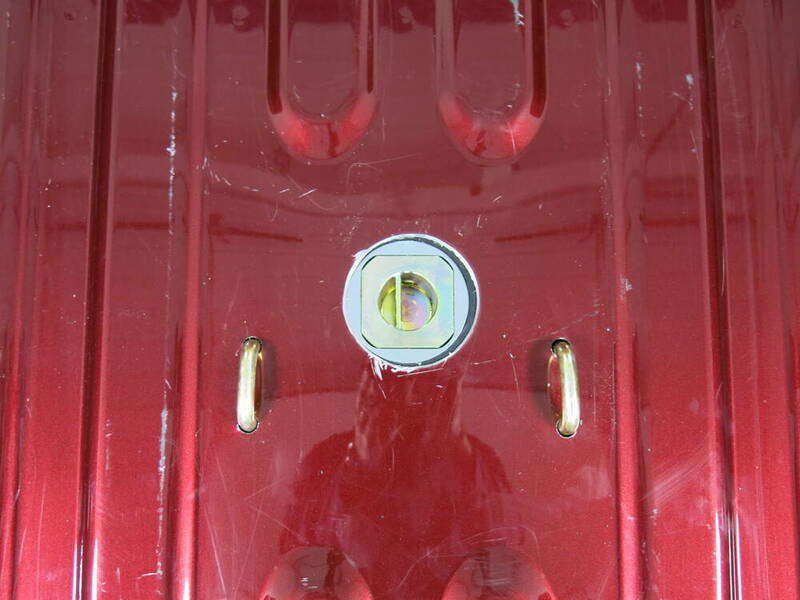 As you can see it fits in the square turnover ball hole right here. The reason they do it square is, during hookup it'll keep this ball from turning in the hitch, being square like that. Also, if you'll look on this one piece here, the corners have actually been chamfered on all the corners. The reason they do that is so when you drop it into the turnover ball hole, it will leave openings on the corners here and let any dirt or grime fall through and keep from building up inside this connection, so your ball would not get stuck, trying to put it in or take it out. The reason they chamfer that is it'll eliminate any of that from building up in there. Now this B and W Underbed Gooseneck Hitch is specifically designed to use B and W accessories that we sell separately. That'll make it easy to customize this hitch to fit your needs. One of the popular accessories to use is, if you end up running into a situation where, instead of towing a gooseneck traileryou might need to tow a 5th wheel trailer, you can take the ball out. They do sell a B and W Companion 5th Wheel Hitch Adapter. What that would allow you to do is you could put a 5th wheel hitch in the bed of your truck, and the very center is a post that would slide down into this opening. You would lock it with the pin into place. That way you would have a 5th wheel hitch adapter in the bed of your truck, and you can tow a 5th wheel trailer with it. It's a very nice accessory to have. If you notice it has the spring-loaded safety chain hookups right here that are built in. You just pull up, hook your safety chains on there, and pull it down. This is a simple installation, comes with the included installation kit shown here and all the hardware you need. 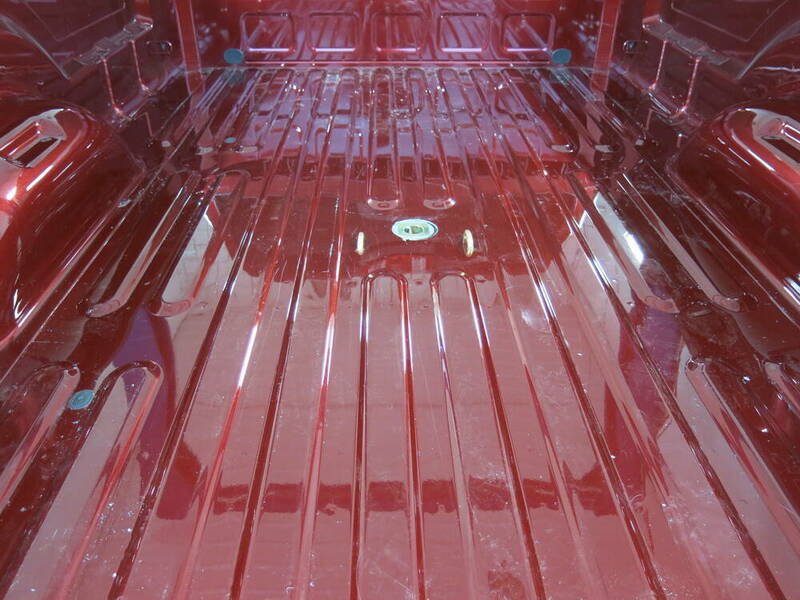 There is no welding required, and the truck bed does not have to be removed to be installed. The only thing you would need to do is to drill a 3 1/2-inch diameter hole that you need to cut into the bed. On this one they actually do it a little different. 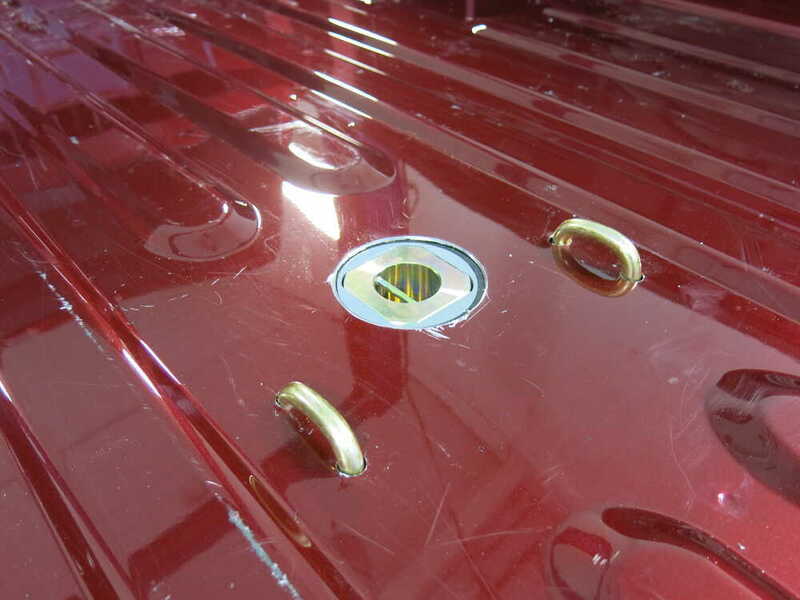 A lot of their underbed hitches, they recommend the 4-inch diameter hole, but on the 2013 Dodge Rams, they found out on the 3500 series that in the cross member they already have a 3 1/2-inch hole drilled in the cross member. To take advantage of that, they decided on this application to use a 3 1/2-inch diameter hole. All you'll have to do is drill into the bed, and it would go through the hole that's already in the cross member. You would also have to drill 4 holes for your spring-loaded safety chain loops to fit through. 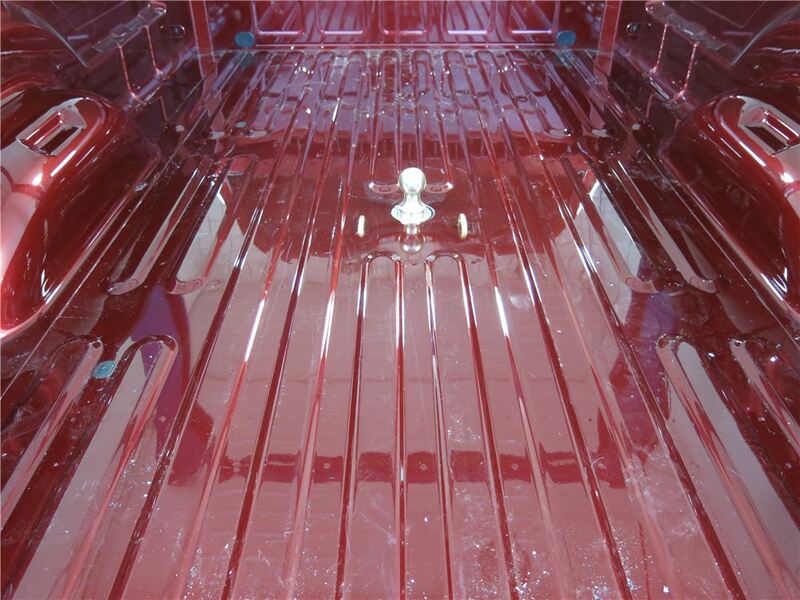 This part is all powder-coated steel, which is sturdy and corrosion-resistant. It is made in the USA. This hitch does have a gross towing weight capacity of 30,000 pounds, has a vertical load limit, or pin weight capacity, of 7500 pounds. The ball size on this turnover ball is 2 5/16 diameter. That does come with a limited lifetime warranty. Again, just want to show you how you would install this. In other words, if you're ready to go tow your gooseneck trailer, just drop the ball into place. It has holes on all sides, so it doesn't matter which you put it in there. Drop it into place, reach your handle, push it forward. It would unlock it, the pin would drive into place and hold it into place, hold the turnover ball in place, and you'd be ready to go. When you're done towing, and you just need to store it, pull out on the handle, pull it back toward you. That would unlock the pin. You can drop it, turn it over. There's a little handle right here on this turnover ball. You can just use that handle to drop it into place. Push forward, it would unlock the pin, and you're locked into place ready to go. That should do it for the review on part number BWGNRK1314, the B and W Turnover Ball Underbed GooseneckTrailer Hitch with the custom installation kit. .
Order: RelevanceNewestRating - High to LowRating - Low to High Install this heavy-duty hitch on your vehicle so that you can securely tow your gooseneck trailer. Store the removable ball upside down in the hitch when you aren't towing to get complete bed access. Square ball base won't turn in hitch. Working out great. Many a mile with trailer in tow. 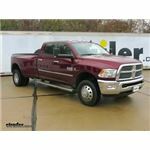 Does B&W Turnoverball Goosneck Hitch Work With Demco Adapter on 2014 Ram 3500? They are the exact same hitch. We use different part numbers to put them in two different fitguides. 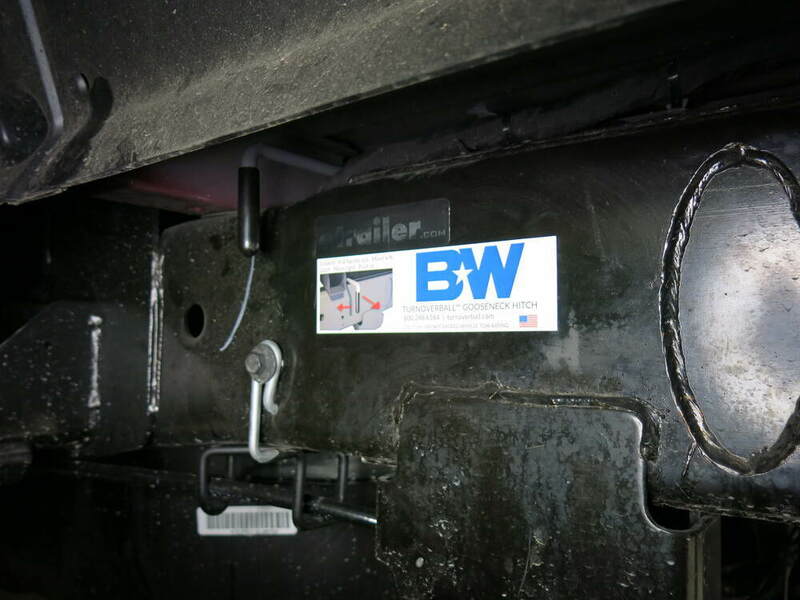 The 5W at the end of part # BWGNRK1314-5W stands for fifth wheel. Since this gooseneck hitch can be used as a gooseneck hitch or as a base for a Companion hitch like the part # BWRVK3500 it can show up in either fitguide. The adapter can't be used with the factory rail kits as the Convert a Ball damages the release lever on top of the gooseneck ball. 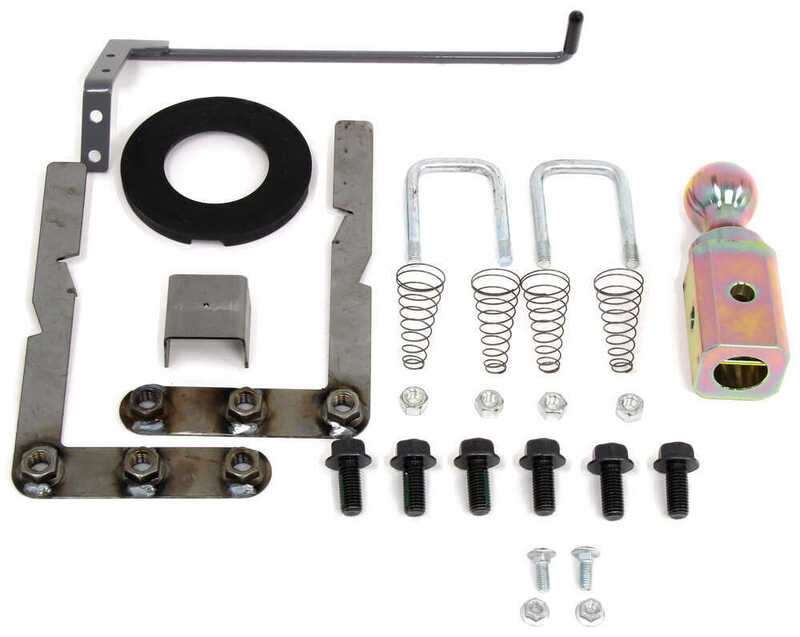 If you do not have the factory hitch prep package you'd want the B and W Tunoverball gooseneck hitch part # BWGNRK1314. I attached install videos for both hitch setups as well. 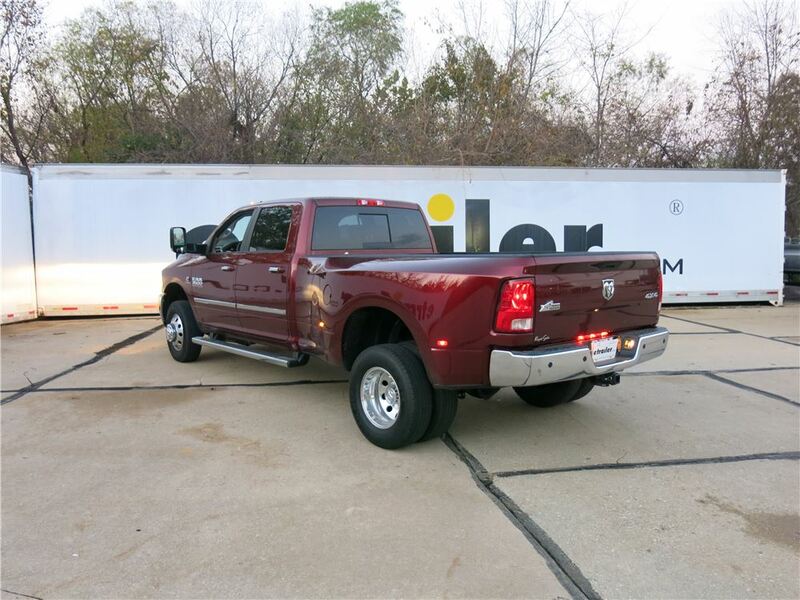 For your 2017 Ram 3500 long bed the correct B and W gooseneck hitch is the part # BWGNRK1314 which has been confirmed as a fit. I attached an install video for this as well. If you ever needed to tow a fifth wheel trailer all you'd ever need is the part # BWRVK3500-5W then as this fits this hitch. 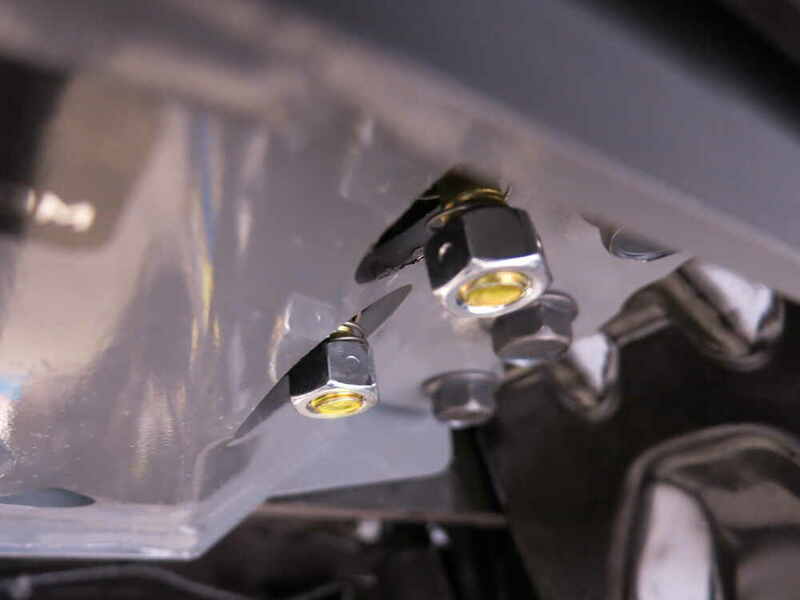 The Firestone air bag kits are confirmed as a fit with gooseneck hitches like this so for that you'd want the # F2705 which is the correct fit for your Ram. 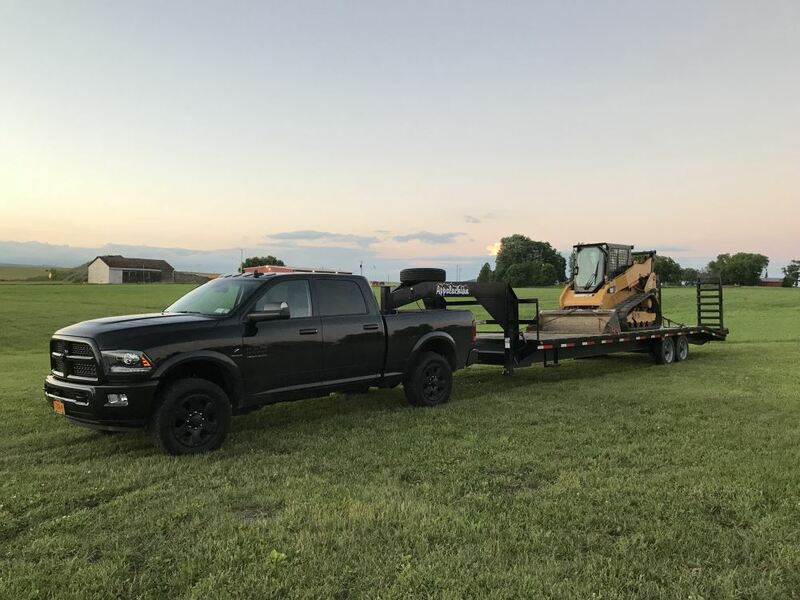 I have attached the video that you are referring to as well as a video of the B&W Turnoverball Underbed Gooseneck Trailer Hitch w/ Custom Installation Kit # BWGNRK1314 being installed on a 2017 Ram 3500. 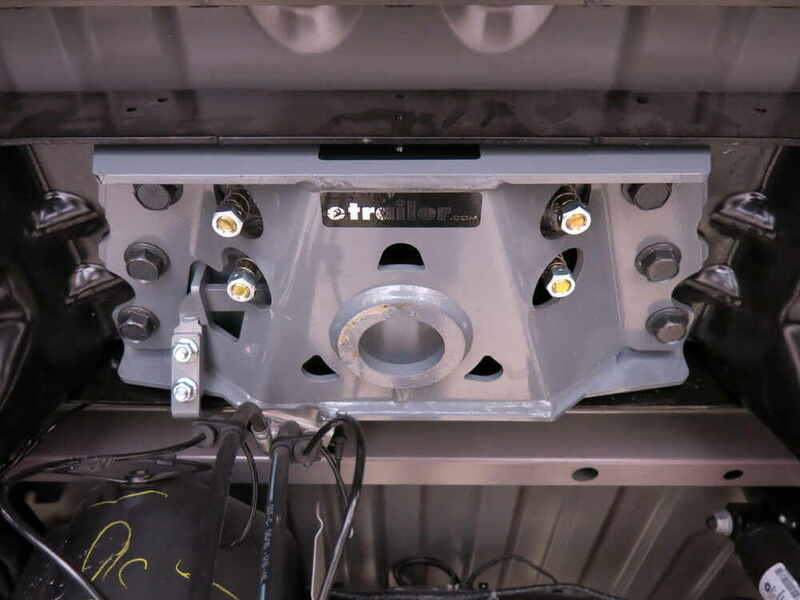 You will be able to install this hitch even with the self-leveling airbags. Yes, the B and W Gooseneck hitch part # BWGNRK1314 that you referenced is a fit for your 2017 Ram 3500. I attached an install video for you to check out as well.